Selank is analog of taftsin but only with that difference that Selank contains three amino acids more, than taftsin. 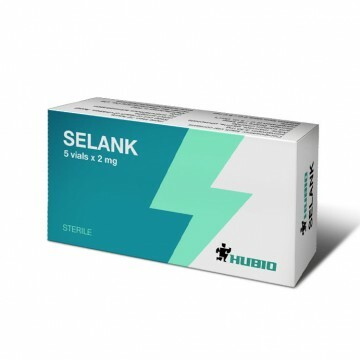 Selank consists of seven amino acids and has a direct impact on the work of the central nervous system, at the expense of the peptide referred to as psychotropic drugs. improves the ability to work. For all that the peptide is considered to be completely harmless and it does not cause addiction, allergic reaction, does not lead to the exhaustion of the bodyand has no effect on the cardiovascular system. The peptide is often used before important events that cause anxiety. Also in cases of mental and physical overload, stress and extreme situations. Selank is administered by injection for 10-15 days, 3-4 times a day. The daily dose is from 1000 to 3000 mg which should be split into three injections. After two weeks the course of the peptide should be stopped for 7-14 days and after the break if necessary it can be repeated. Selank has a fast half-decay speed so it is safe for humans, as a rule, does not cause side effects. The individual intolerance of the substance is possible, in which case it's beter to discontinue the use of the peptide. Also, Selank shouldn't be applied by pregnant and lactating women, in all other cases the peptide has no contraindications. 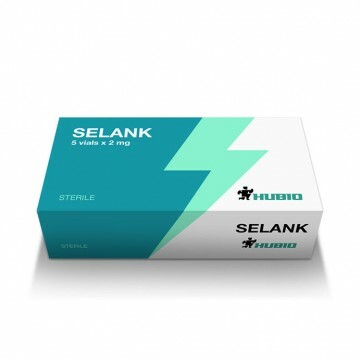 Selank is manufactured in powder form for injection and requires dilution. In dry form the peptide must be stored in a freezer then his working life will be several years. After diluting the peptide with liquid the substance should be stored in refrigerator for up to ten days. Even after one week of application there is a significant result of Selank with severe soft effect and the improvement of the work of the central nervous system.